The USPSTF (2011) recommends that women age 65 or older be routinely screened for osteoporosis, and that routine screening begin in younger women whose fracture risk equals that of a 65-year-old woman without risk factors. AAFP supports this position. The National Osteoporosis Foundation (NOF, 2008) recommends that adults over age 50 receive 1200 mg of calcium and 800 to 1000 IU of vitamin D3 daily. NOF recommends BMD screening in women age 65 and older and men age 70 and older, as well as in post-menopausal women and men age 50 to 69 based on their risk factor profile. ACOG endorses the NOF guidance. The Stages Of A Woman’s Life Are No Longer A Mystery. 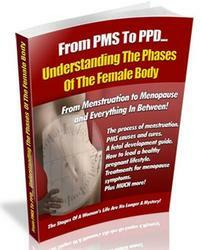 Get Instant Access To Valuable Information On All The Phases Of The Female Body From Menstruation To Menopause And Everything In Between.